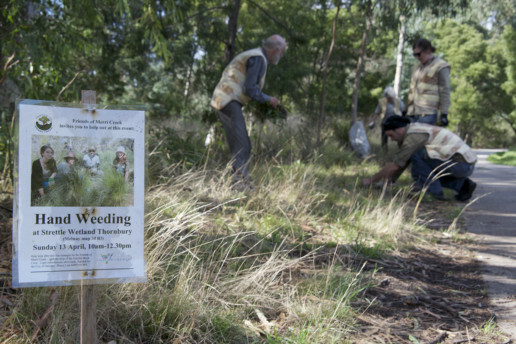 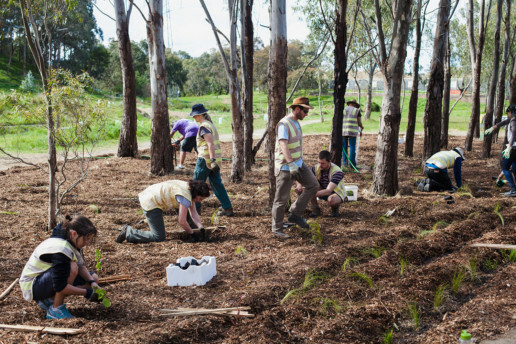 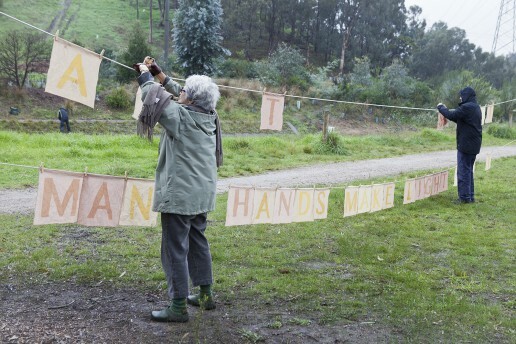 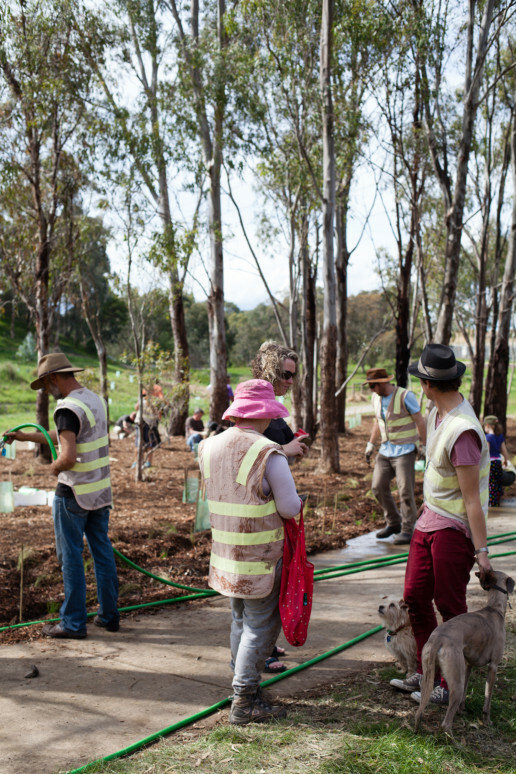 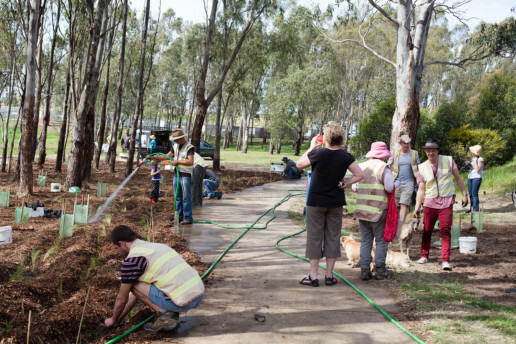 This ongoing project examines plant/human relations in the context of citizen restoration and visual arts practice at the Merri Creek in Melbourne. 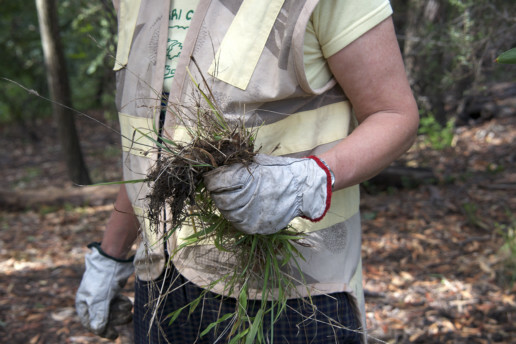 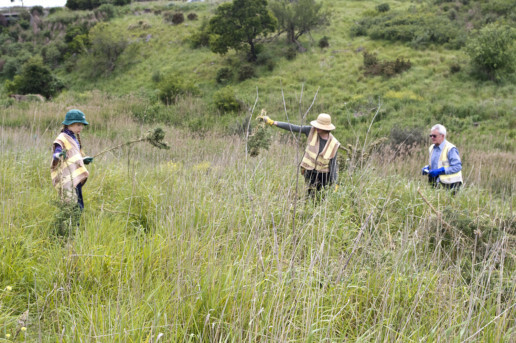 I look at relations between volunteer workers, flora and restoration sites. 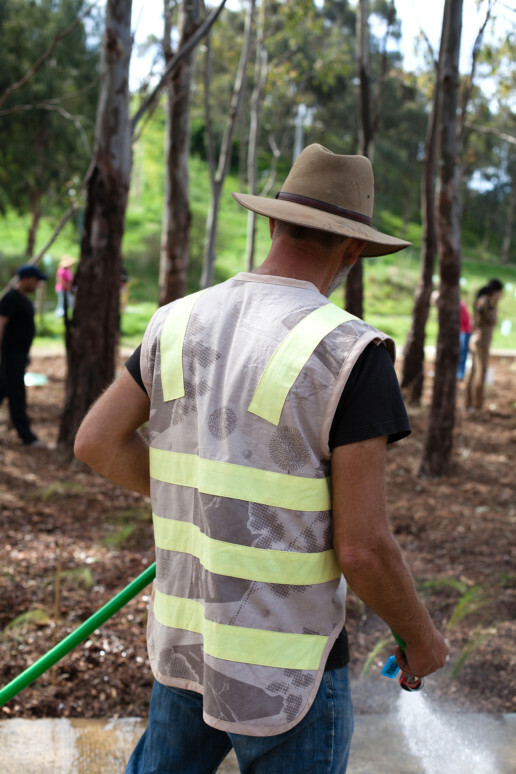 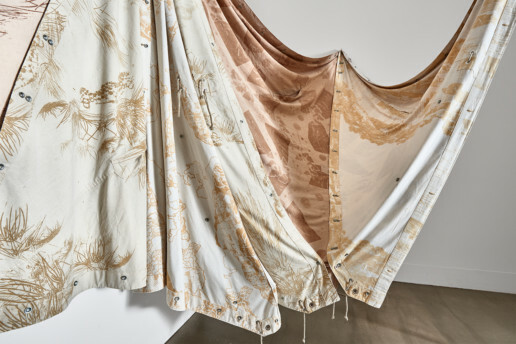 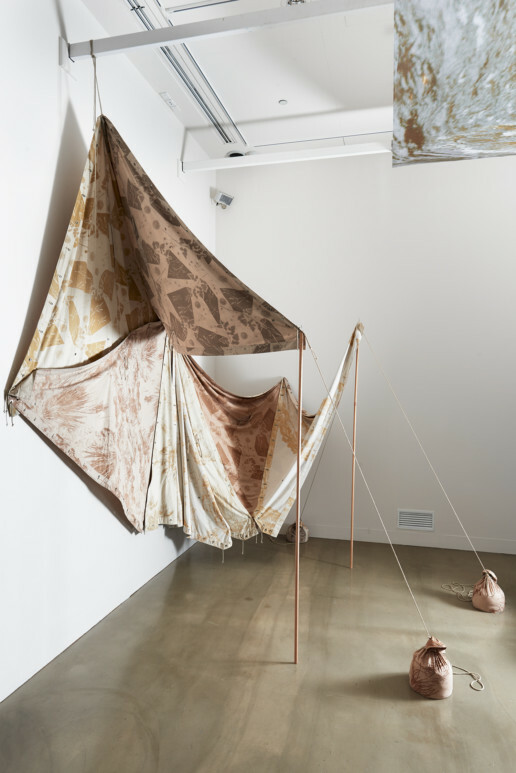 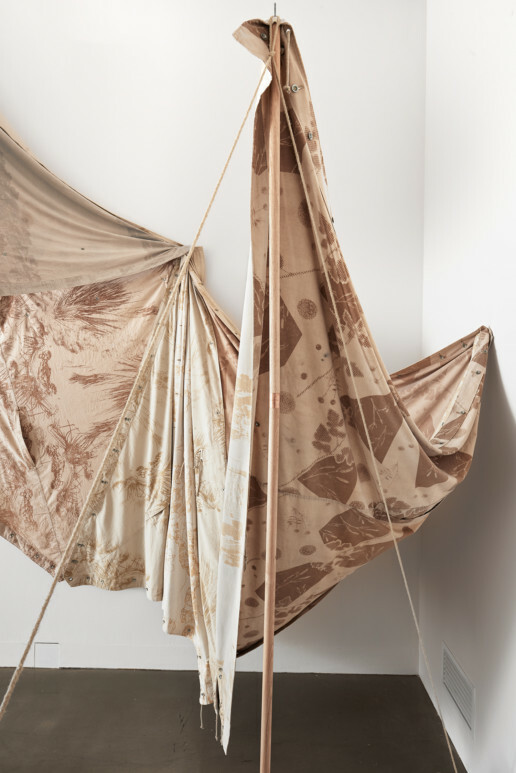 I use the analogous and repeatable methods of making found in printing and textile production to examine the iterative and performative processes of planting, weeding and collecting rubbish. 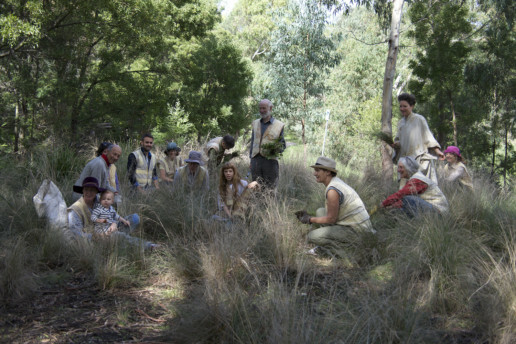 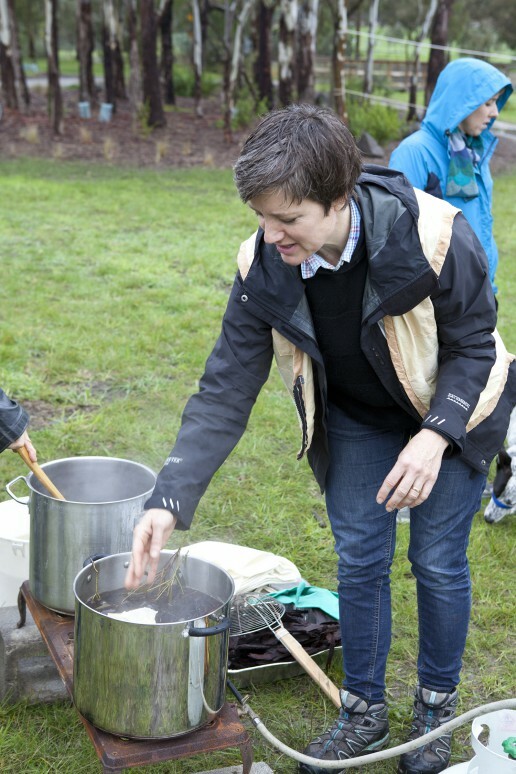 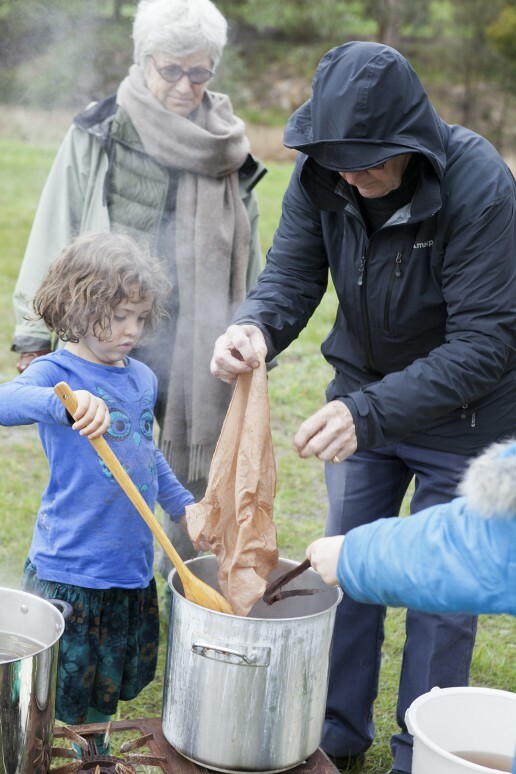 I source plant dyes from the creek, and then make props and garments to bring to Friends of Merri Creek restoration events. 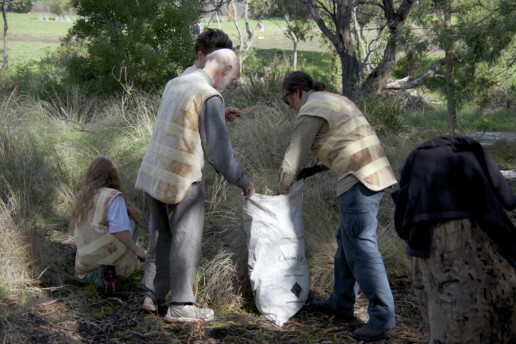 Volunteers wear the textiles if they wish. 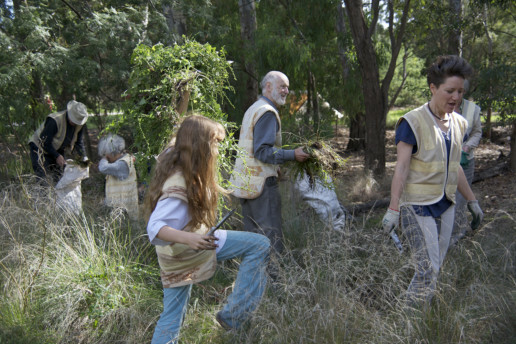 Through attending to relations between volunteers and plants, a gift economy of care and support is revealed. 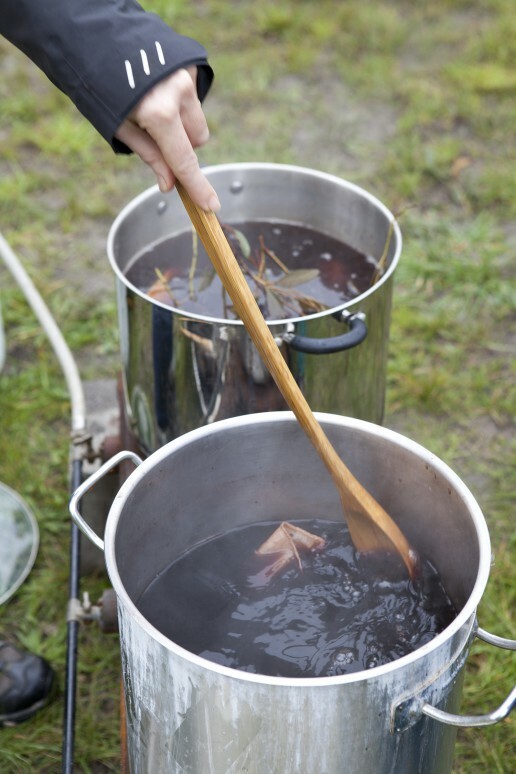 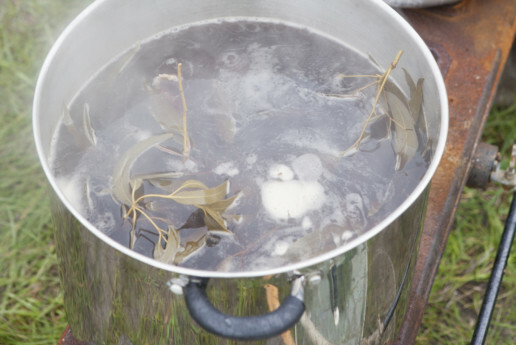 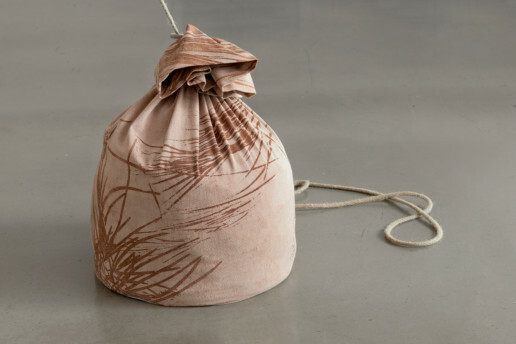 In an act reminiscent of bush dyeing, dye-pots were taken to the creek. 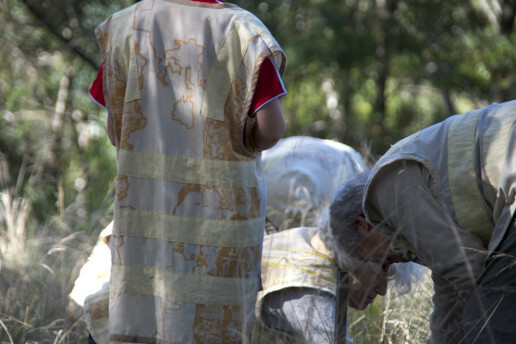 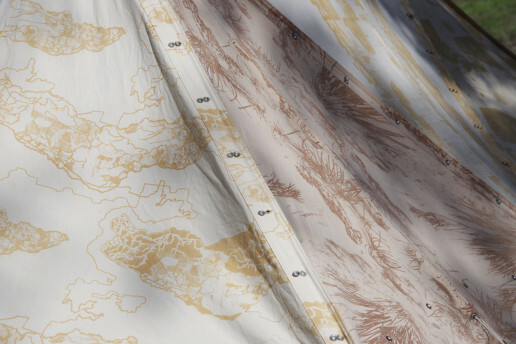 Pre-mordanted handkerchief-sized squares of fabric were dyed in melaleuca bark or eucalyptus leaves collected at the site. 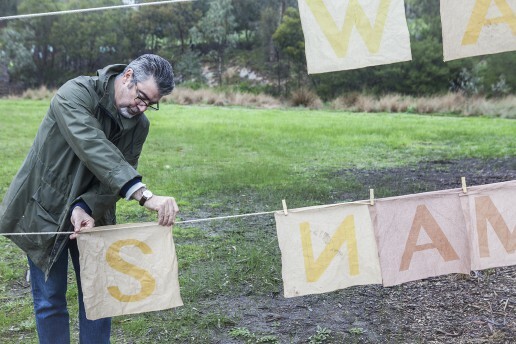 On dyeing, each square revealed one letter. 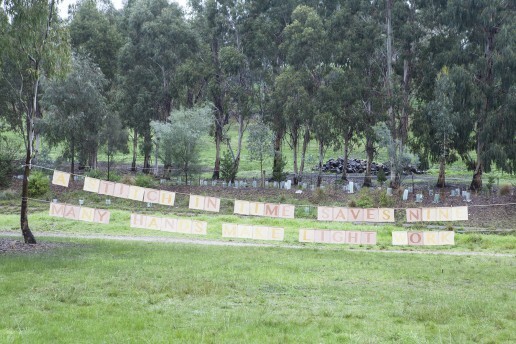 The letters, pegged to the line, were arranged and re-arranged until a familiar saying (or two) was revealed.